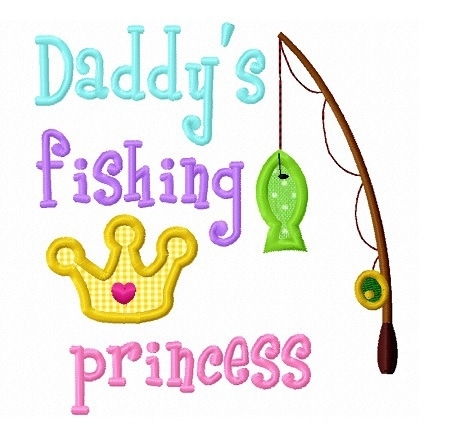 This fishing princess applique design comes in three sizes. Daddy's Girl Applique - 3 Sizes! Finish Size 3.53" x 3.81"
Finish Size 4.73" x 5.11"
Finish Size 5.52" x 5.96"